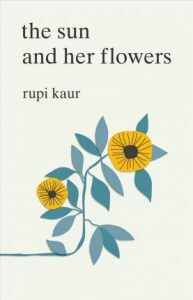 Kaur, author of the immensely popular Milk and Honey, writes and sketches in the same plain, honest, and shattering style about healing. KAUR, Rupi. The Sun and Her Flowers. 256p. Andrews McMeel. Oct. 2017. pap. $16.99. ISBN 9781449486792. 1. "You might not have been my first love but you were the love that made all the other love irrelevant”. 2. “How you love yourself is how you teach others to love you”. 3. “I din't leave because I stopped loving you I left because the longer I stayed the less i loved myself”. Quotes to motivate you by Rupi Kaur.